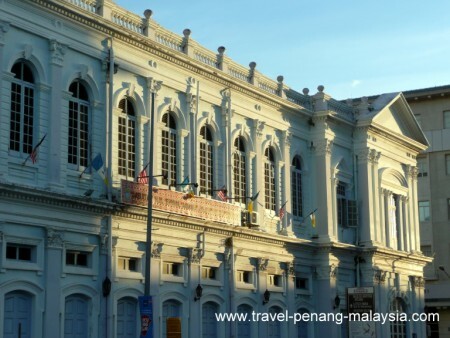 Penang is famous for it's old British Colonial Buildings like the Penang Museum above. Most of them are in a very small area around the Esplanade and it's just a short stroll between them. 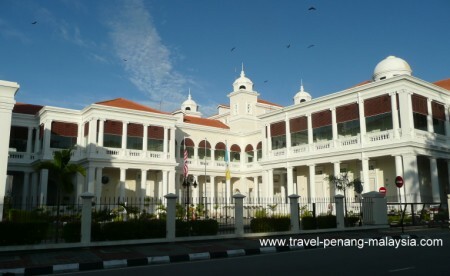 The City Hall in Georgetown is located on the Esplanade and dates back to 1903. 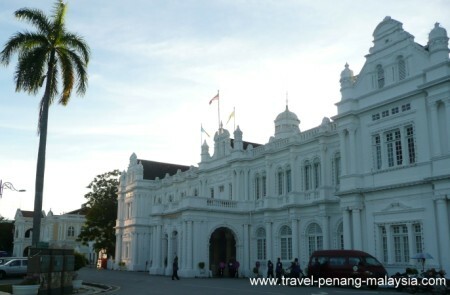 It is now used as the island's council headquarters and faces Fort Cornwallis over the large green. The old Town Hall on the Esplanade in Georgetown opened in 1880. 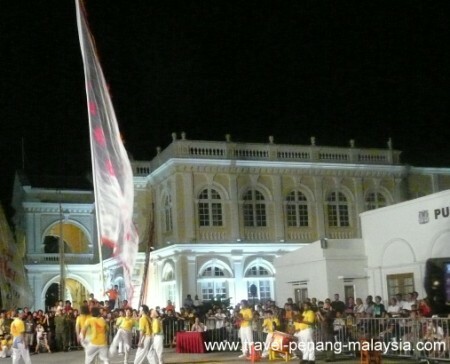 If your wondering what's going on, it's Penang's traditional sport of Chingay, which basically is throwing this huge flag poll using various parts of the body and your team mates trying to catch it and balance it on their various body parts. Very interesting to watch if you get the chance. The Town Hall on the Esplanade in Georgetown. 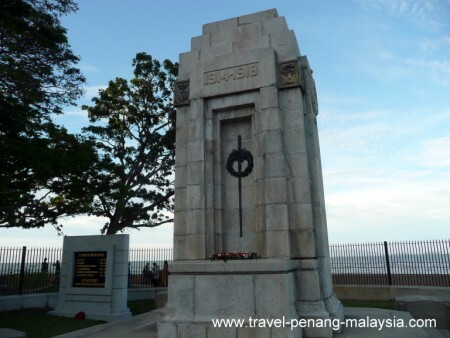 The Penang War Memorial is located next to the City Hall on the Esplanade and was originally erected to commemorate the the soldiers who died off of Penang island when the Germans lunched a surprise naval attack during the First World War. 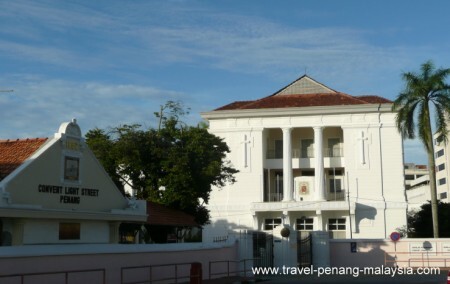 The Penang Supreme Court House in Georgetown was built in 1809 is just up the road from the Esplanade. 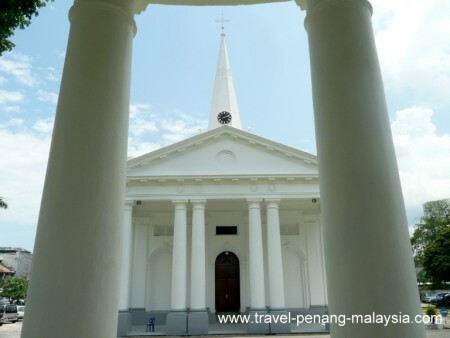 Saint George's Anglican Church was completed in 1818 and is located in Georgetown along what was Pitt Street, now named Jalan Masjid Kapitan Keling. 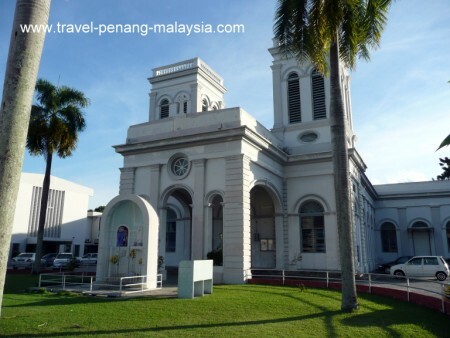 The Cathedral of the Assumption Georgetown can be found along Lebuh Farquhar close to St George's Church. 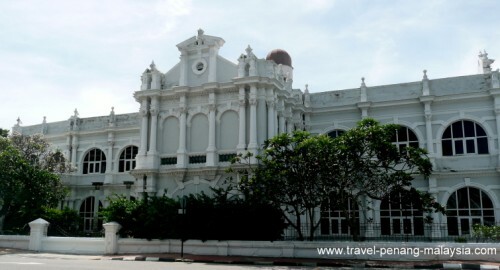 The Convent Light Street School in Georgetown Penang was a former Governors residence which was turned into Malaysia's oldest girls school in 1859. 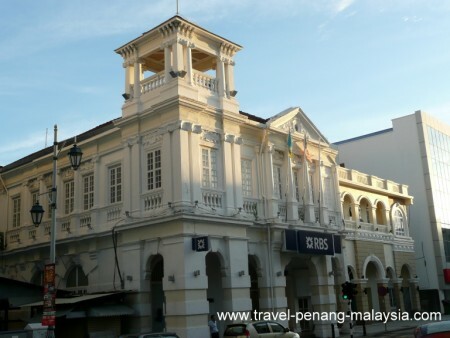 Beach Street (Lebuh Pantai) in Georgetown is full of old colonial buildings now used mainly as banks. 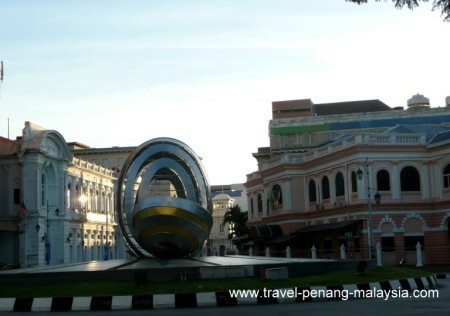 It used to be the main street close to the harbour in early colonial times until they reclaimed some land and the street moved inland. Royal Bank of Scotland, one of many colonial buildings on Beach Street. 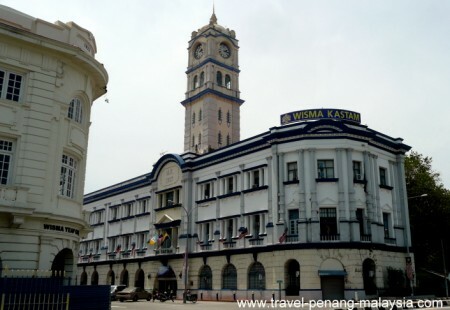 The Malayan Railway Building dates from 1907 and was once Penang's Railway Station, but with no trains. 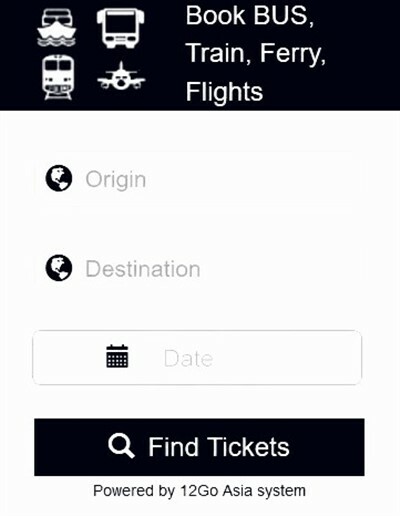 Passengers would buy their train tickets at the station, then be taken by steam boat over to the trains in Butterworth. 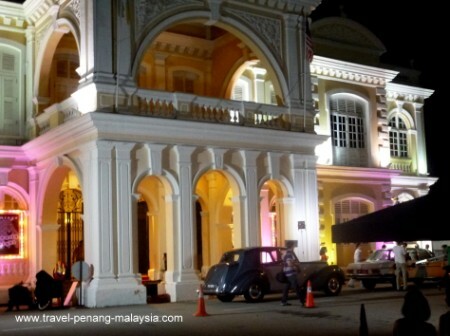 The Governors Bungalow on top of Penang Hill, a nice place to escape the heat of the city.